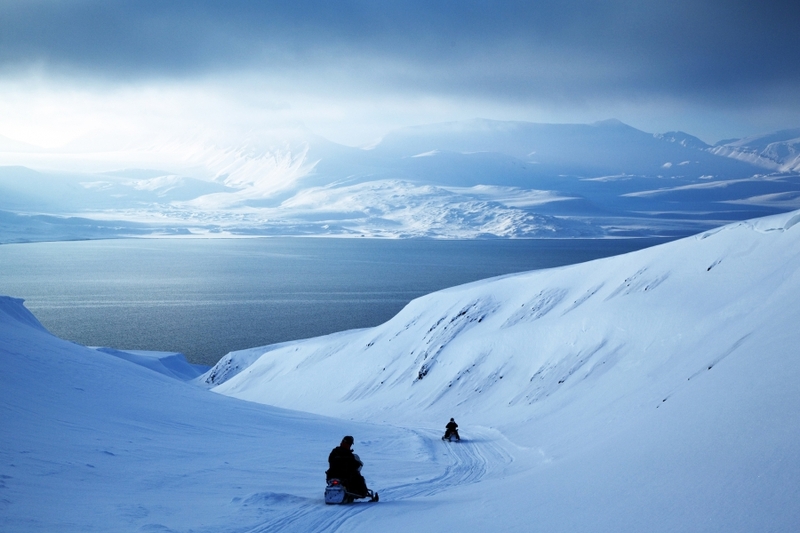 Midway between mainland Norway and the North Pole, Svalbard has a truly ‘end-of-the-earth’ feel. On clear winter days you’ll witness dense starry skies and the dancing Northern lights while polar bears wander over the glaciers. 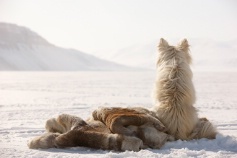 During this unique and adventurous honeymoon, you’ll enjoy a selection of explorer activities including dog-sledding and a three day tour to the Nordenskiöld Glacier. 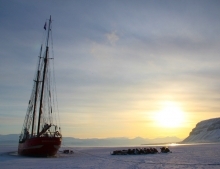 Arrival in Spitsbergen. 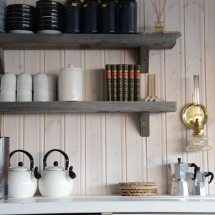 Transfer to your accommodation in the main town of Longyearbyen. 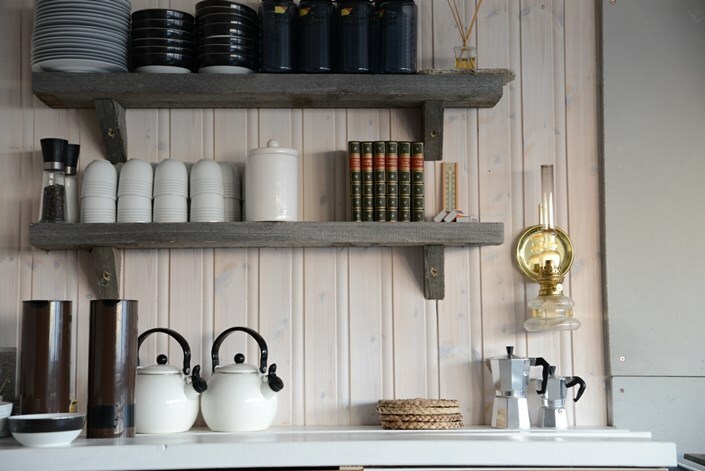 You’ll stay at the unique Basecamp Hotel in Longyearbyen – close to the town’s shops, bars and restaurants. Enjoy the rest of the day at leisure. This cosy hotel lodge is decorated in a traditional trapper style with driftwood, sealskin and slate. Dinner is not included this evening. Breakfast is served from 08:00 am. 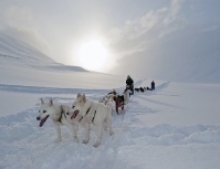 After breakfast you will meet the guide in the reception area for a briefing before going on a dog sledding tour.Transportation will be provided to Basecamp Trappers Station where 90 Alaskan huskies eagerly await to take you out for a sled ride. The station allows you to see and feel how trappers lived in the wilderness, hunting seals and reindeer. 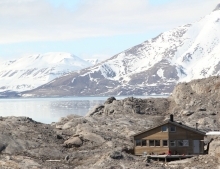 Buildings and the surroundings at the Trapper’s Station are designed to look like the original hunting communities in Spitsbergen. 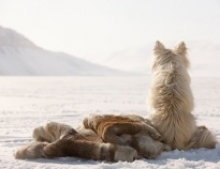 During your half day dog-sledding tour, you will get to know the main tasks of dog sledding, helping to harness the dog team and preparing for the trip. 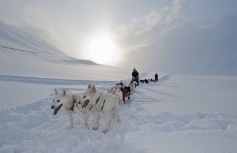 You will share two people to each sled and return to Longyearbyen in the afternoon. Overnight at the Trapper's Hotel. Today you’ll depart for your Arctic adventure! Your three day wilderness trip begins with a thorough briefing from your guide and safety instruction on how to drive the snowmobiles. Based on current weather and snow conditions, the guide will pick the best route for your tour which can be a private tour for you both, or you can join a group tour for set departure dates. You will drive through unspoilt nature and enjoy many stops along the way including a stop for lunch. 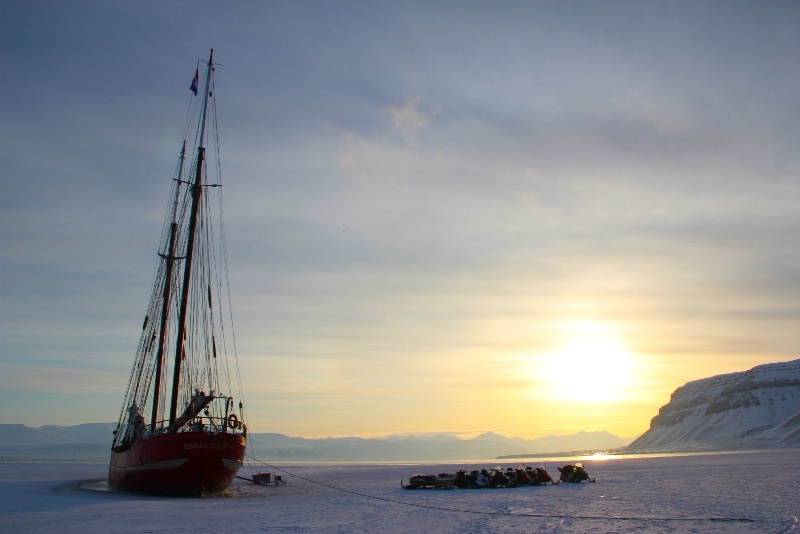 You'll cross the frozen tempelfjorden and pass the famous Ship in the Ice lying next to the mighty Temple Mountain. 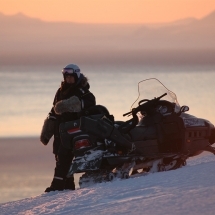 This is the world’s only hotel in the ice accessed by snow mobile or sled. The journey to the ship travels through broad valleys, over snow-covered glaciers and passes the mountains that are so typical of Svalbard. You’ll continue driving further north towards the glaciers in Olav V land. 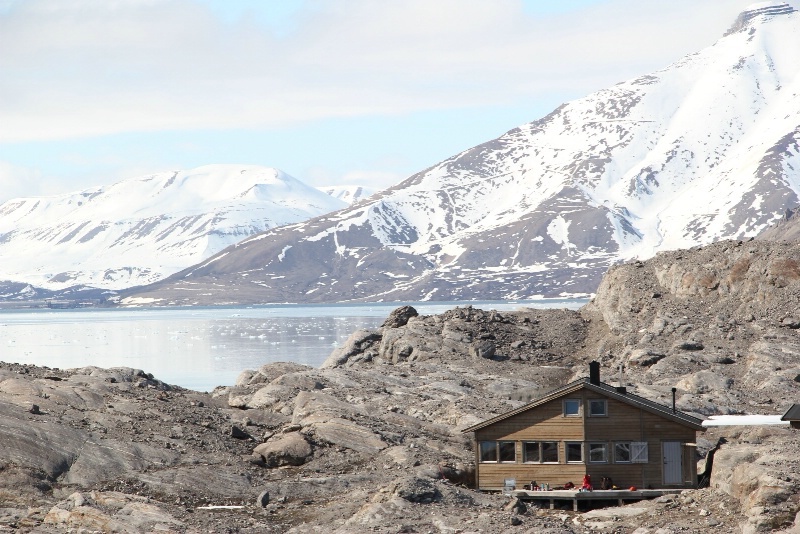 Arriving at the Basecamp Nordenskiöld in the late afternoon, you’ll settle in to your comfortable room. 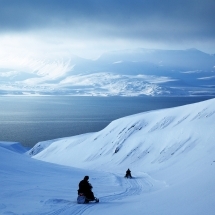 Your base at Nordenskiöld Lodge is a true wilderness destination - a perfect place to enjoy the best of Svalbard and enjoy time to relax after an active day. 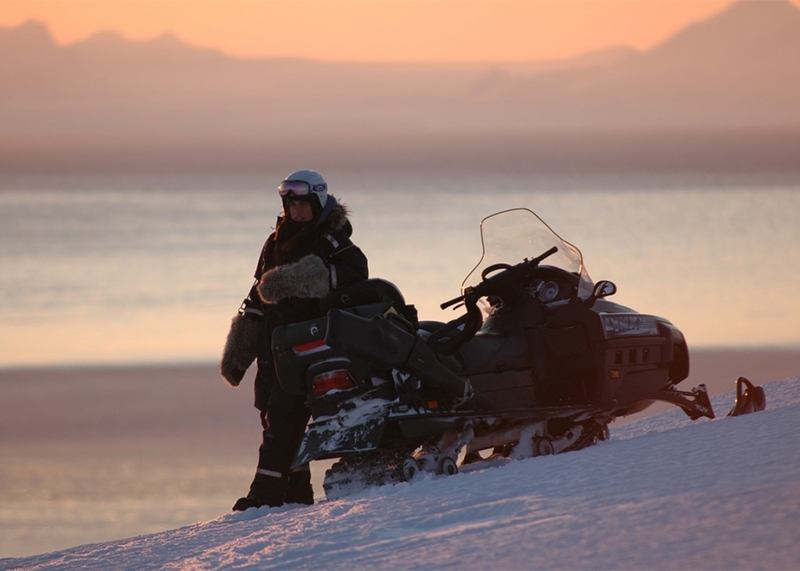 After a hearty breakfast it's time to get back on your snowmobile and head out into the beautiful scenery of Spitsbergen. You’ll drive over glaciers, mountains and frozen fjords, miles from civilization in a landscape of white and blue. If the weather and ice conditions are favourable, you’ll head out to the abandoned Russian mining town of Pyramiden. You’ll enjoy a tour around the abandoned town which is now eerily silent. Before the evacuation, there were facilities including schools and even the world's northernmost swimming pool. The Russians took nothing with them when they left the city in 1998 and almost everything lies as it was back then. During the afternoon, you’ll return back to the cabin for a sauna and dinner. 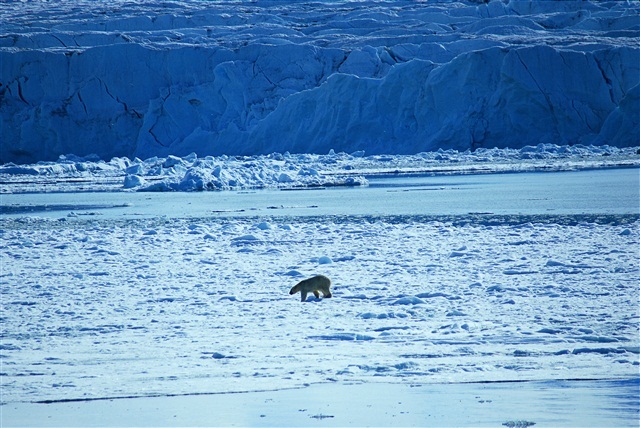 After breakfast you’ll set out on the journey back to Longyearbyen with your guide with the chance to see yet more of this vast wilderness and perhaps a polar bear or two along the way. Overnight at Basecamp Hotel. 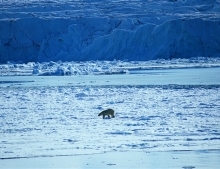 Today it is time to bid farewell to Svalbard and transfer to the airport for your return home. You can alternatively extend your stay in Svalbard with extra nights and adventures, or elsewhere in Norway to customize your vacation. You will need a valid driver's licence to drive the snow mobile. Please get in touch to find out more about departure dates, flight schedules and availability. From £2145 per person excluding flights. If you'd like to have a private guided expedition tour, please get in touch with us for prices and availability.